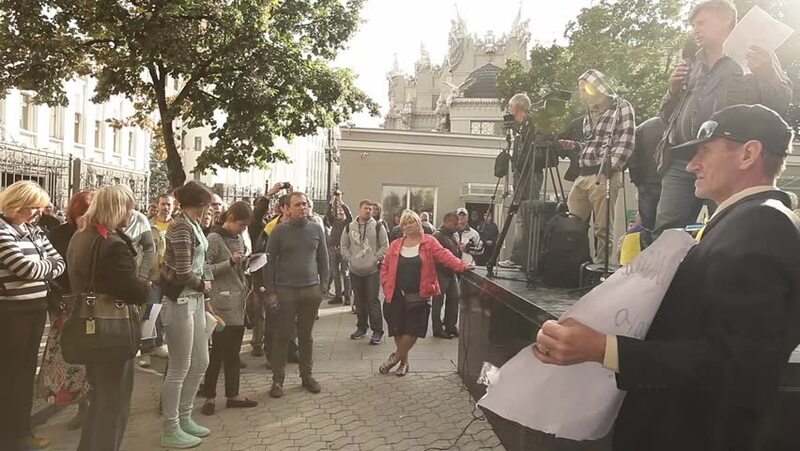 Kiyv- August 28: Meeting near Presidential Administration of Ukraine on August 28, 2014 in Kiyv, Ukraine. hd00:08POLTAVA, UKRAINE - 19 JANUARY, 2016: locals celebrate Epiphany - one of the biggest religious festivals in Ukraine. At this time there is the blessing of water, which is used throughout the year. hd00:22CRACOW, POLAND - CIRCA OCTOBER 2012: Folk band plays for tourists in the old town in Cracow (Krakow), Poland. Over 8 mnl. tourist visit Cracow every year. hd00:08POLAND 2016: Tourists are standing in the main square of the city and they are looking around and talking to each other. Close-up shot. It's a nice summer day. 4k00:10SAINT-PETERSBURG, RUSSIA - SUMMER, 2014: The audience at the opening of the monument. Monument to Soviet soldiers Afghans. Shot in 4K, so you can easily crop, rotate and zoom, without losing quality! hd00:20KRAKOW, POLAND - MAY 9, 2015: Unidentified participants of the March For Cannabis Liberation. Marijuana Marches held every year in the spring time all over the world, in more than 300 cities. hd00:20KRAKOW, POLAND - MAY 3, 2015: Polish cavalry during annual of Polish national and public holiday the May 3rd Constitution Day. Holiday celebrates declaration of the Constitution of May 3, 1791.